When photographers specialize in portraits of famous people, they often speak of finding a visual way to reveal their oft-photographed subject's rarely exposed nature; to bring their depths, in other words, to the surface. 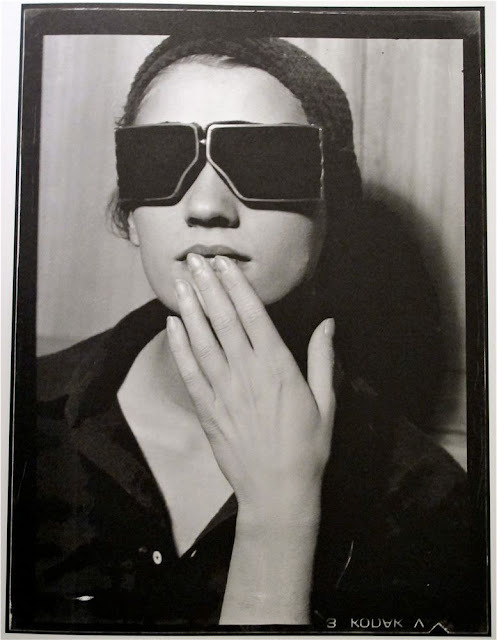 Man Ray (1890-1976), the Surrealist photographer and artist, had his own way of doing most everything, and he certainly had his own approach to celebrity portraiture. 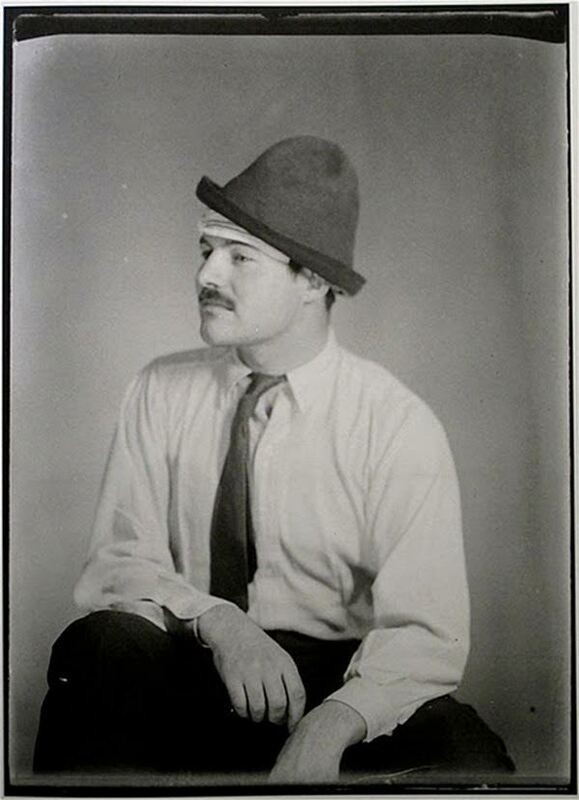 Take, for example, his 1923 shot of Ernest Hemingway above, taken just a couple years after both the writer and photographer joined the moveable feast of Paris, which Man Ray would call home for most of his career. 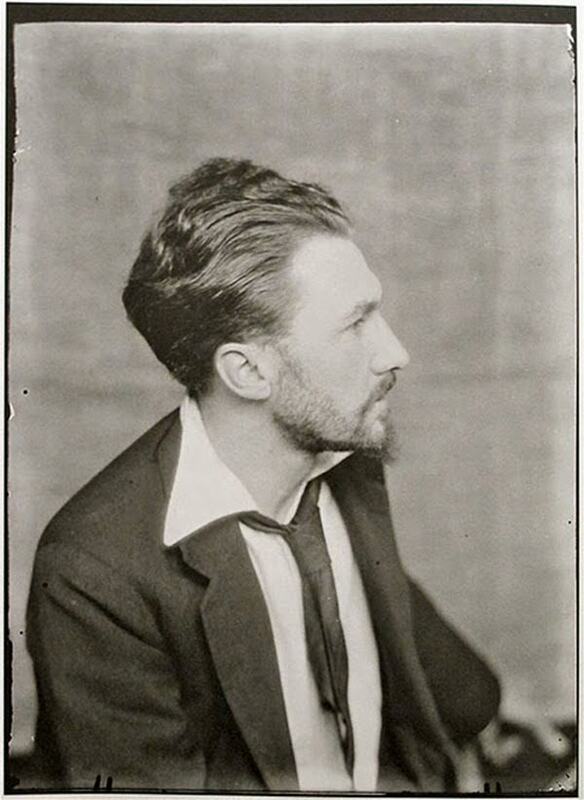 That same year and in that same urban bohemia, Man Ray photographed another famed man of letters, the modernist poet Ezra Pound. You can see the somewhat more conventional-looking result of that encounter just above. 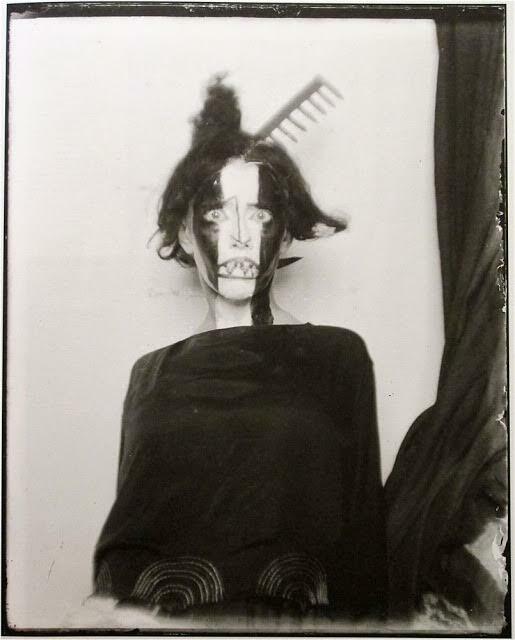 Below, we have a far less conventional-looking portrait from 1922, which takes as its subject the dancer Bronislava Nijinska, who perhaps only counts as famous to you if you know the history of 20th-century ballet — but I say anyone willing to appear in a portrait looking that frightening has earned all the fame they can get. 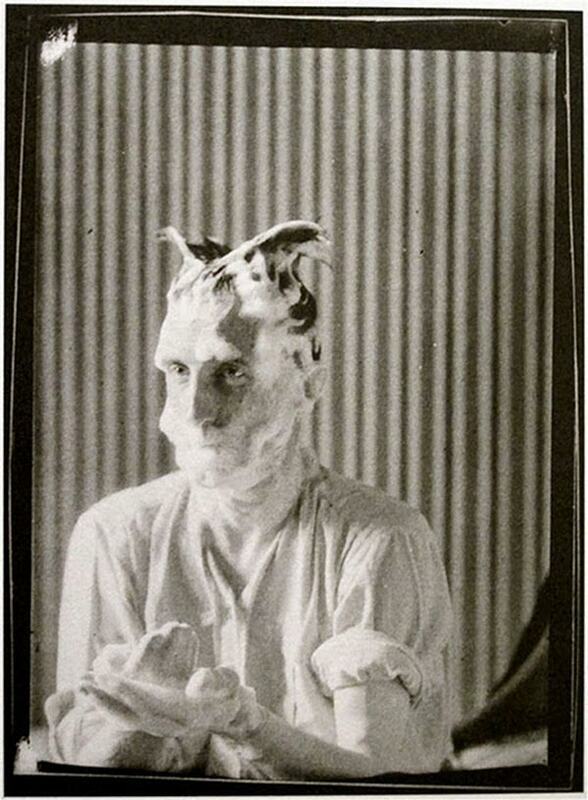 Marcel Duchamp, who appears below, sat for Man Ray in 1921 looking less scary than silly, but as one of the wittiest and most artistically forward-thinking figures of the era, he surely got the joke. These appear in the book Man Ray: Paris - Hollywood - Paris, which collects 500 of the portraits Man Ray left in his archives when he died in 1976, all of "members of Dadaist and Surrealist circles, of artists and painters, of writers and US emigrants of the Lost Generation, of aristocrats, and paragons of the worlds of fashion and theater." 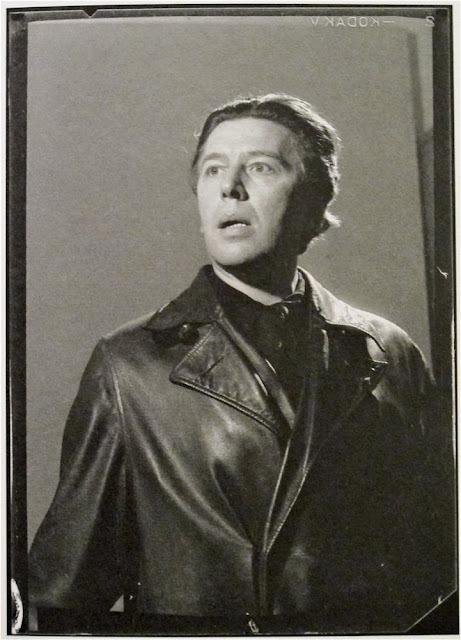 You can sample more such works, which capture as only Man Ray would the natures of such icons as André Breton, Salvador Dalí, and Lee Miller, at Mondo Blogo. 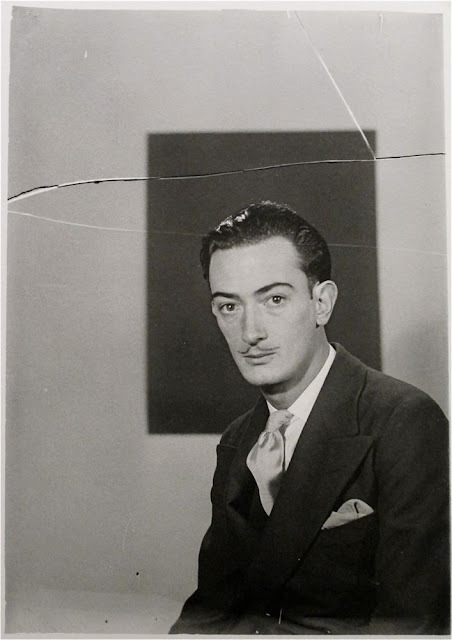 You can also find many more works, in general, by Man Ray on the MoMA's website. Wondeful photographs.. Bronislava Nijinska (aka Bronisława Niżyńska) was a famous Polish-Russian dancer, a great ballerina, cooperating with Serge Diaghilev (Ballets Russes) and with Ida Rubinstein. She was a sister to Vaclav Nijinsky (Wacław Niżyński) and a teachet to Marie Tallchef, who was the first Native-American ballerina in Ballets Russes.